As emissions regulations become stricter and the price of oil continues to rise, there's no hiding from the fact that the heavy-duty truck and motor trade is becoming ever more competitive. This is why manufacturers are striving to reduce vehicle weight and maximise reliability – so their customers can profit from every extra mile. Fortunately, suppliers are discovering innovations on seemingly simple components to give the manufacturers an edge. Broken down into its simplest terms, the success of any commercial vehicle (no matter what industry or application it serves) can be defined by three key performance indicators (KPIs): payload; fuel efficiency; and maintenance costs. If a vehicle is able to carry a greater load further than its rivals with a reduced burden of maintenance, then it's going to be a long-term success no matter what's happening to the global economy. For this reason, despite the huge size of many trucks, there is currently an ‘arms race’ under way to develop lighter, greener vehicles that can endure the shock loading and high miles of long-haul routes. 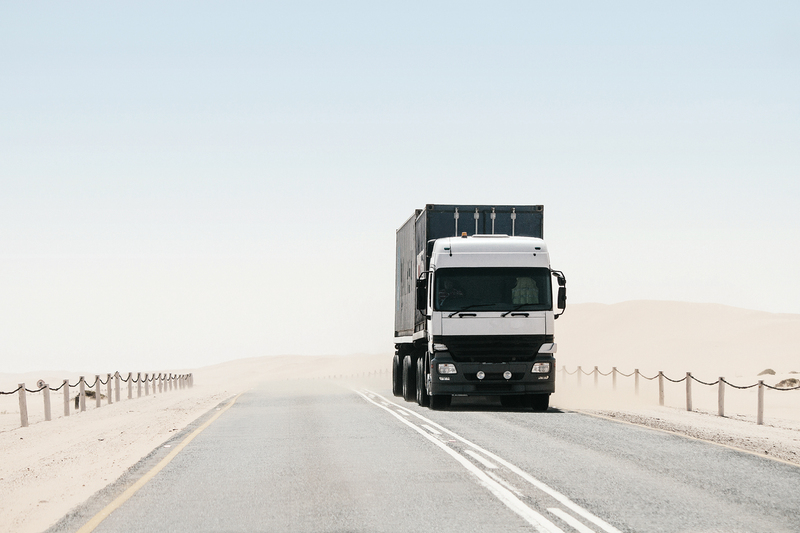 It was the pursuit of payload that led a global truck manufacturer to approach Optimas with a locknut weight reduction challenge. Optimas operates a smart business model that involves investment – both in terms of resources and personnel – in all aspects of logistics, component supply, engineering, forecasting demand, quality control and even manufacturing. This means that for each partner a unique service is devised that offers distinct benefits. It was this insight and expertise that the truck manufacturer was relying on when it approached the firm with the challenge of finding a single, lightweight locknut to replace the multiple nylon inserts and platings previously specified. Although reducing weight was the main goal of the project, the manufacturer also had an eye on improving the overall performance of the part – thus boosting durability and reliability. The locknuts would be used on the chassis of the trucks so they were expected to be resistant to corrosion, hold improved torque tensions and were also required to have an environmentally friendly coating. Optimas engineers were stationed at the manufacturer's R&D centre and worked directly with the design team to produce a collaborative engineering effort. This stage included a battery of tests, including the use of an RS Torque Tension Unit to calculate friction and load capacity to identify the right locknut. Once the design was finalised, further testing of the plate material was carried out to ensure paint adhesion and lasting torque tension. The final result is a single metal fastener that replaces the variety of heavier, more complex nylon parts which were previously available to the manufacturer's design department. This piece reduces the parts inventory, lowers costs and creates a 10% reduction in weight – as well as increasing durability in operation. The solution has resulted in measurable improvements in each of the three KPI areas.